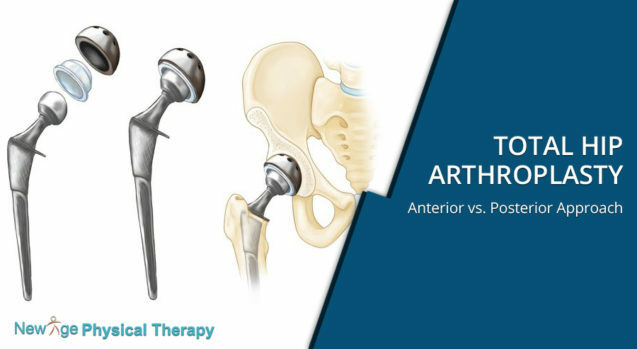 For many years, the dominant technique for hip arthroplasty replacements has been the posterior approach. For this type of surgery, an incision is made at the back of the hip, muscles are cut to reach hip joint, the head and neck of the femur are removed, a stem with a “ball” at the end is inserted into the femur, and finally the hip joint is rejoined and surrounding tissues are repaired. There are many risks of dislocation including sitting with hip hyper-flexed, leg internally rotated, and crossing one leg over the other. Because of this, many surgeons have taken different approaches that may be more beneficial such as the anterior approach. In this case, a smaller incision is made in the front of the leg. Instead of cutting and possibly causing damage, muscles are separated to reach hip joint. Post-operation will require a shorter recovery and hospital stay time compared to the posterior approach. Less precaution is needed as the patient should only avoid keeping their leg externally rotated. There are many disadvantages to the anterior hip replacement approach as well. Because of the smaller incision, there is a restricted view of the hip joint. A special operating table is required for the anterior approach that may give rise to femoral and ankle fractures. There may be risk of lateral femoral-cutaneous nerve damage which may lead to numbness, tingling, or burning sensation along the thigh. Finally, obese and muscular patients are not good candidates since additional soft tissue makes it difficult to access the joint. Physical therapy can help patients with hip arthroplasty replacements regain mobility and strength. Exercise routines can increase the lifetime of an implant, thus, post-phoning another surgery. Patients who received the anterior approach may have better range of motion, thus, there is less restriction on their exercise prescription. Studies show that they may use crutches or a walker unaided 6 days sooner than patients who received the posterior approach. They may also experience less pain, thus, they are able to bend at hip and bear weight sooner, leading to faster recovery. However, this is just general information. Always consult your doctor or surgeon to decide which procedure is appropriate for you.